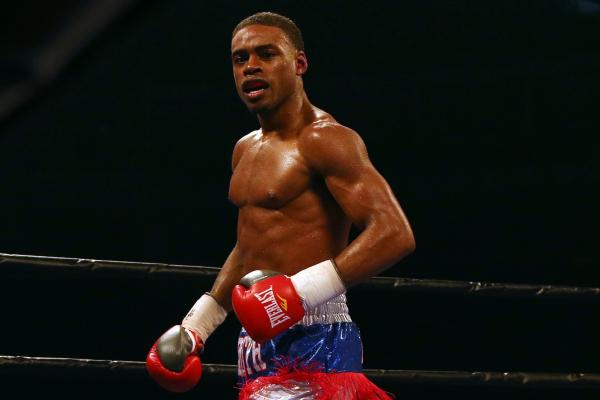 Errol Spence Jr. Shows "True Grit"
Heading into his showdown last weekend with Kell Brook, we already knew that Errol Spence Jr. was an outstanding talent. It takes a special fighter to knockout tough contenders like Chris Algieri and Leonard Bundu. But more serious questions remained. It’s one thing to easily beat an opponent when you are much more talented than he is. It’s another thing to hang tough and overcome another elite fighter. The obvious question to ask was this: How will Spence react when he can’t simply impose his will upon an opponent. Spence answered that question with an exclamation point. After a tough six rounds Saturday, Spence gradually took control of the fight and finished the bout in a dominant style, battering him in Round 9, dropping him to a knee in Round 10 and forcing him to quit with a busted orbital bone in Round 11. Brook showed tremendous talent early–Showtime’s Steve Farhood had him up four rounds to two at the mid-point of the fight. He showed great courage late, struggling to stay in the fight even as his eye was swelling shut. But in the end, Spence was simply too much for him. It is probably fair to say that this version of Brook was not the same fighter who defeated Shawn Porter in August 2014. He’s been stabbed since and had his other orbital bone broken by Gennady Golovkin in his previous fight. Beyond that, he was coming back down from fighting at 160 pounds against Golovkin. But give Spence proper credit. As he stated in his post-fight interview: “I showed I had true grit.” He did indeed. Brook looked every bit a terrific fighter until Spence’s body attack and pace forced him to fade. It seems inevitable that Spence will face Keith Thurman in his next bout. That would unify three of the four belts and could establish a true, legitimate world champion in one of the sport’s glamour divisions.